CNN and WNEM, a Michigan-area CBS affiliate, have been doing their part to prove that oftentimes the media doesn’t know the first thing about how it should talk about trans-identified people. 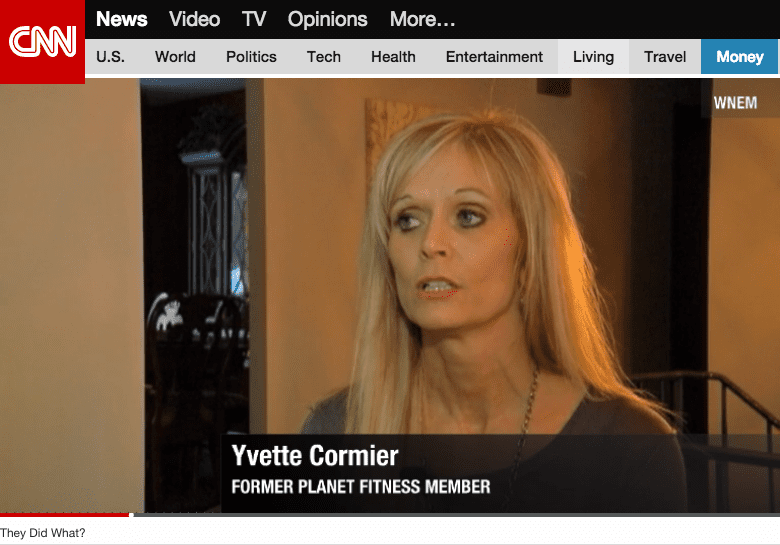 Earlier this week we brought you the story of Yvette Cormier, a Midland, Michigan woman who took it upon herself to harass and badger Carlotta Sklodowska, a transgender member of her local Planet Fitness gym. After mistakenly identifying the transwoman as a man, outing the woman to other gym members, and attempting to have the woman kicked out of the gym, Cormier found herself banned from the location for violating Planet Fitness’s “No Judgement Zone” policy. In a recently produced local television segment WNEM reporter Gino Vicci sat down with Cormier to hear her side of the story and allow her the space to make her arguments. Unsurprisingly, her justifications smack of transphobia and hostility. The responses, as one might expect, were resoundingly negative. As easy as it would be to write off their comments as being borne out of a small-town, conservative mindset, there is something to be said for the way that journalists handle stories like this. In many ways Fox News’s approach to the story has been similar to WNEM’s. In a recently aired episode of Fox & Friends Elisabeth Hasselbeck repeatedly misgenders Sklodowska and gives credence to the opinions of Dr. Keith Ablow, a frequent Fox contributor who purports to be a psychiatrist but spent most of his time on-air spouting nonsense. While this sort of rhetoric has become the hallmark of much of Fox’s reporting on LGBT issues, the larger story highlights the power that verbal violence against trans-people can have. Gino Vicci has since made half-hearted apologies for repeatedly identifying Sklodowska as a man, but WNEM’s continued coverage of the local Planet Fitness has turned the gym’s decision to stand up for trans-rights into a cause for alarm. Since WNEM’s first transphobic segment, station reporters have gone back to the gym to gather opinions from other people, but the damage of introducing the story as a man’s intrusion into the women’s locker room has already been done. We could all stand to learn from WNEM’s example and try harder to better share stories focusing on trans lives to more productive ends.